A population of 600000 people, with very high unemployment and poor living conditions. Known as “Nobody’s Baby” to this day. This was Nelson Mandela’s first home in Johannesburg when he ran away from an arranged marriage in the Transkei. Also where Trevor Noah worked as a young man. We drive by a number of historical sites. Noisy, colorful and vibrant. Alexandra provides an insight into the disparity of rich and poor in South Africa. This was the hideout of the leadership of the military wing from 1961 until 1963 and where the overthrow of the South African government was planned. The farm has been converted into a superb museum and buildings restored to how they were in 1961. Here we tell the story of the events leading to the Rivonia Raid where the leadership was all arrested in 1963 and the subsequent Rivonia trial where Nelson Mandela and others were sentenced to life imprisonment. Liliesleaf is the start of the story of Robben Island. We then drive past MANDELA’S home where he spent his last days with his wife Graca Machel. We have a late lunch in the most famous street in Soweto, Vilakazi street, where Nelson Mandela lived as did Bishop Desmond Tutu. 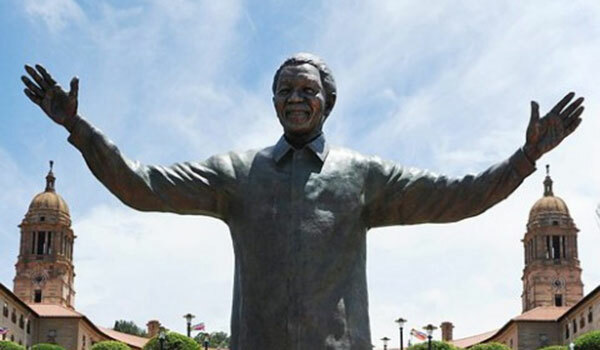 We visit the Mandela home and the Hector Pietersen Museum and drive by the late Winnie Mandela’s home before visiting the site of June 16th 1976 massacre. We follow the route of the march that day and stop at the Regina Mundi Church before visiting the site of the Freedom Charter signing in 1955. We drive by the world famous Chris Hani Baragwanath Hospital which featured in the Guinness Book of records as the largest hospital in the world. NOTE: Should guests prefer to visit the world famous Apartheid Museum for a deeper appreciation of the issues Mandela faced this could be substituted for one of the above.